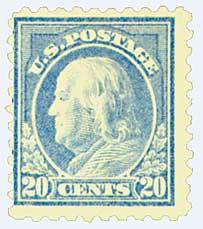 In 1916, the Bureau of Engraving and Printing began producing stamps on unwatermarked paper. 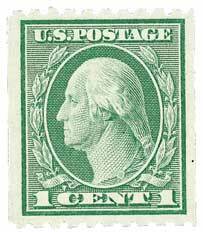 With the United States already close to a wartime economy as World War I raged in Europe, the lower cost of single mark paper added up to big savings for the Bureau. 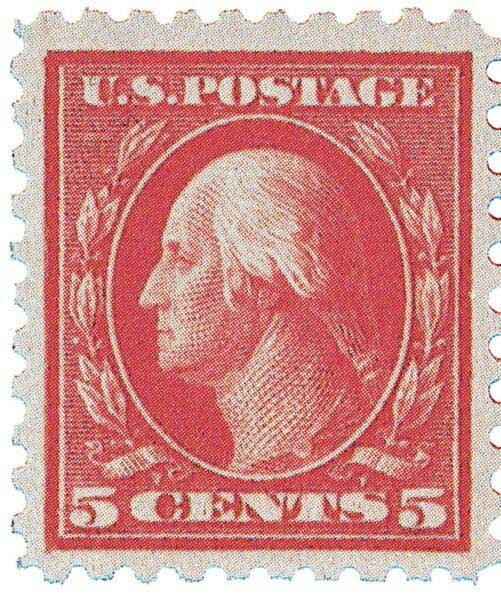 However, single watermarks on previous stamps were often quite hard to identify, and collectors were slow to recognize that a new type of paper was being used. 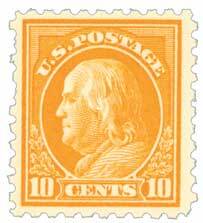 Adding to the confusion was the continued use of 10 gauge perfs. 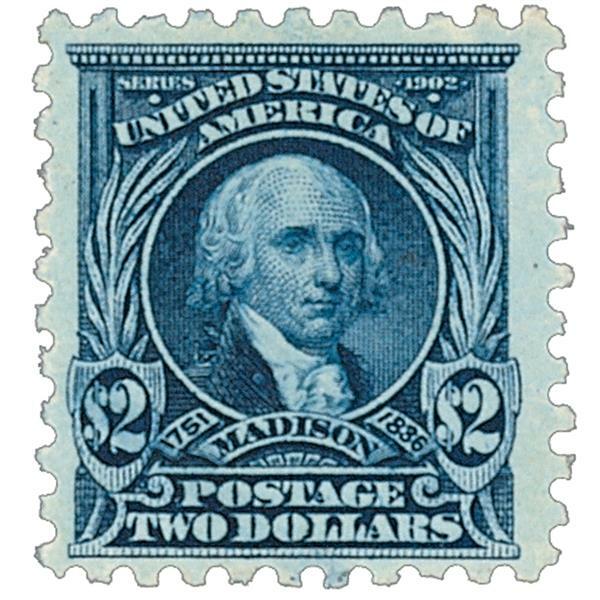 A year earlier, 11 gauge perforations had been introduced, and the collecting community expected to see new stamps with that gauge. 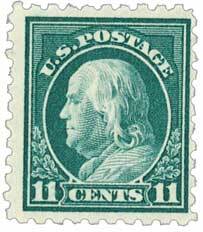 But in another cost-cutting move, the BEP continued to use the 10 gauge perforating rollers until they wore out completely. 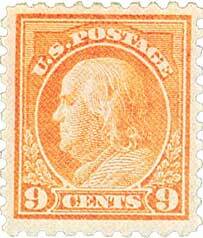 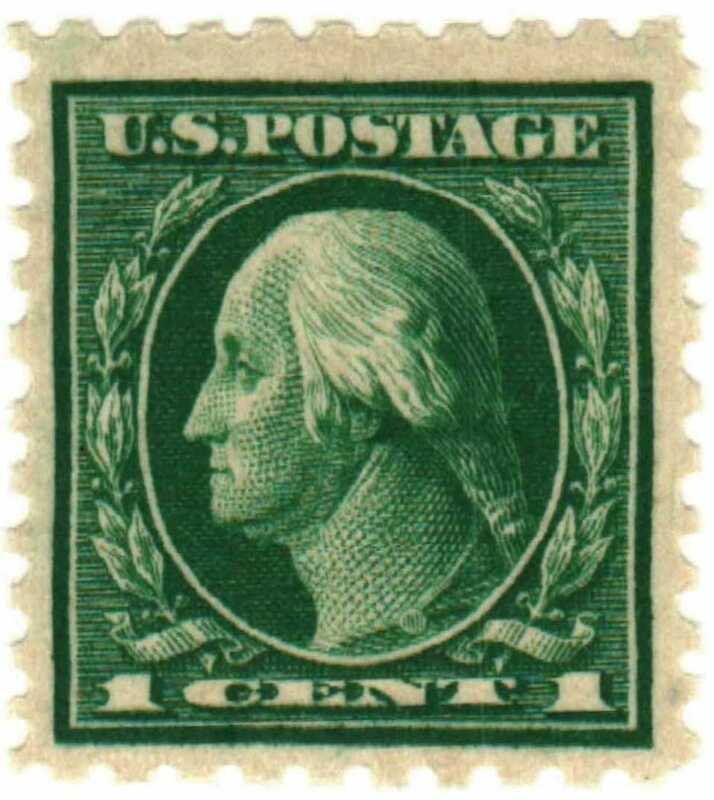 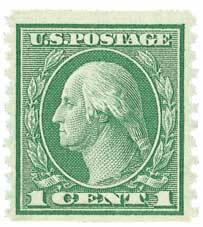 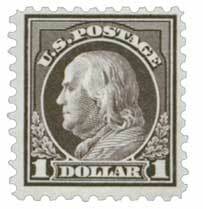 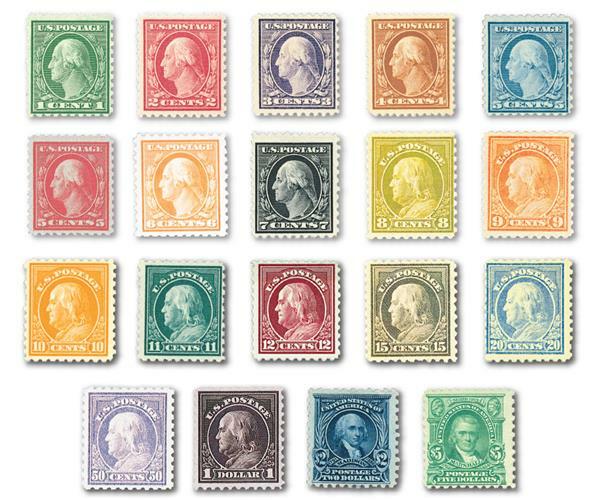 The Series of 1916 Washington-Franklins used the same design as previous stamps. 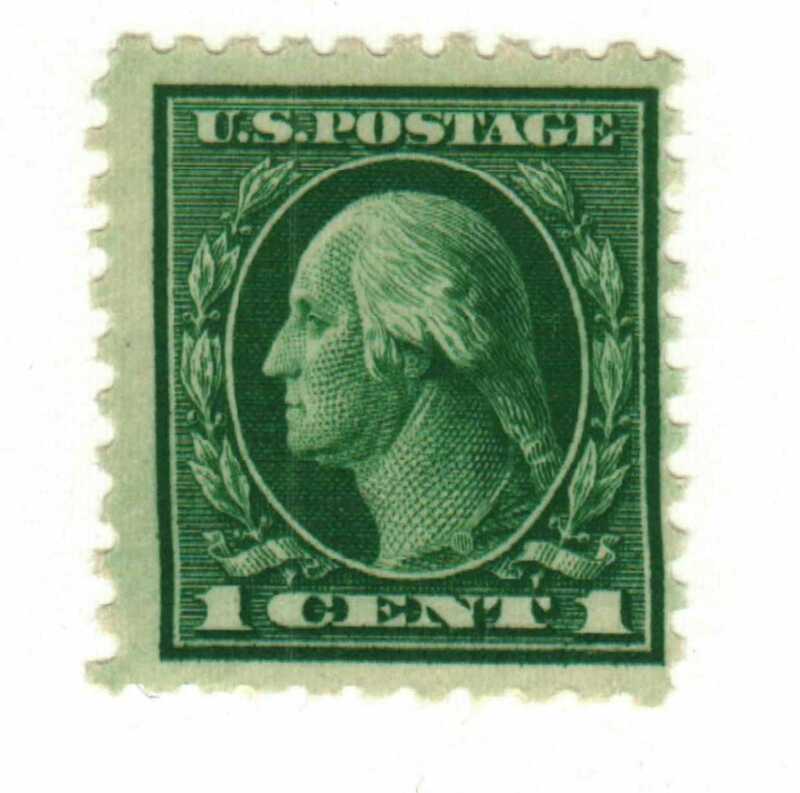 Since it was easy to miss whether it was new unwatermarked paper or paper with faint single marks, many collectors overlooked these stamps when they were first issued. 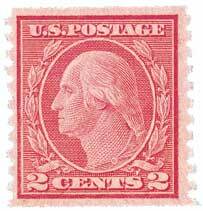 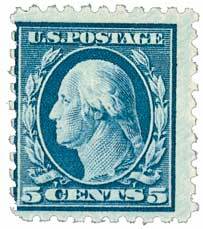 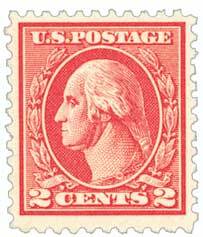 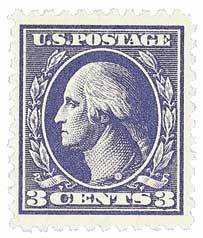 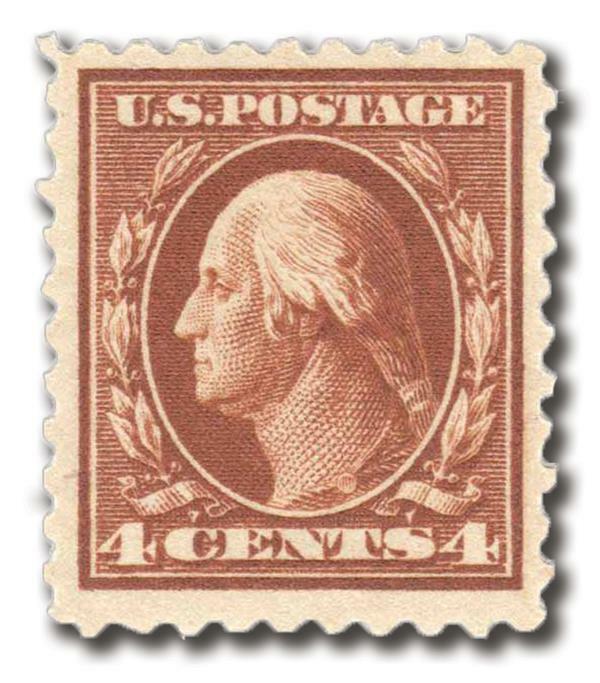 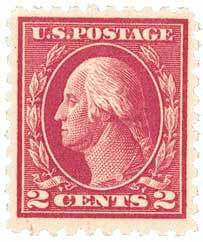 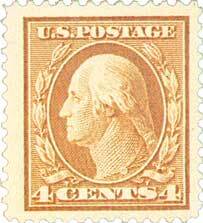 Stamp perforations were often the cause of problems such as jams in vending machines and difficulty with stamp separation by postal clerks. 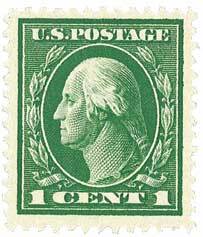 Perf 10 stamps were too stiff, perf 12s were too brittle, and both types caused trouble. 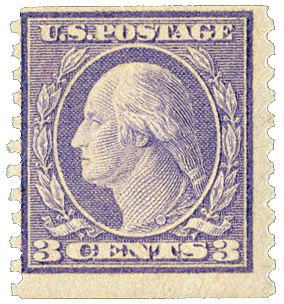 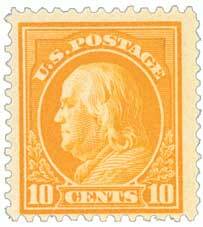 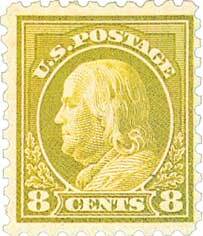 The Third Bureau “Washington-Franklin” stamps included a possible solution. The history of stamp vending machines actually goes back to the mid-1880s when an English woman, Victoria Bundsen, invented a stamp-affixing device. 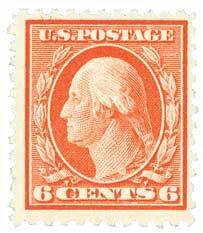 On April 19, 1884, she was granted a British patent. She also applied for a patent in the United States, which was awarded on July 21, 1885. 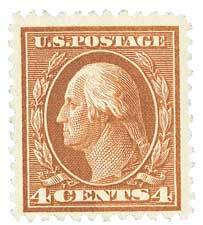 The hand-held plunger she developed is basically still in use today, with a few minor modifications. 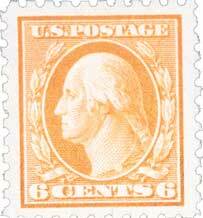 Her invention used a stack of single, separated stamps placed in a small box at the end of the plunger. 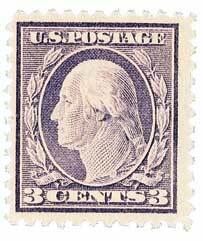 By pushing the plunger down, a moistener was applied to the envelope. 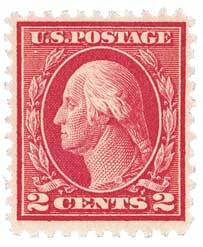 As the stamp came in contact with the moistened envelope, it naturally adhered. 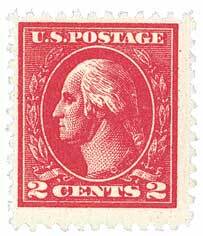 Numerous others from England, Germany, and the United States developed similar devices, but the first one to use stamps in a “ribbon” or “coil” (long strips of single stamps) form was an invention by William Miller of Polo, Illinois. 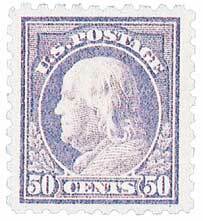 He was granted a patent on January 29, 1889. 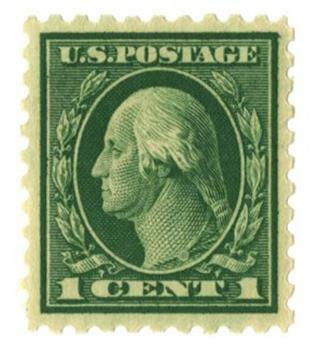 His machine was unique in the fact that it actually used a roll of coiled stamps, rather than just a strip of ten. 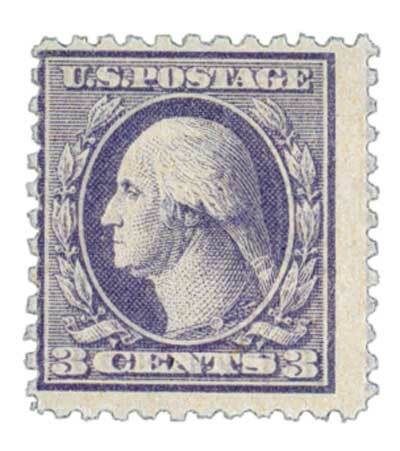 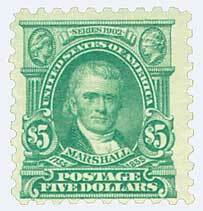 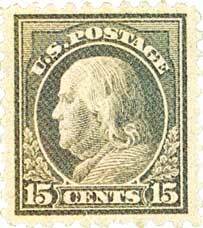 A knife would sever the stamp along the perforations. 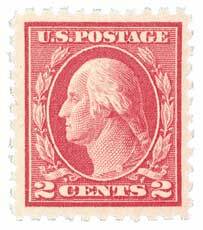 The stamp was then applied to an envelope by a plunger, similar to the stamp-affixing device.